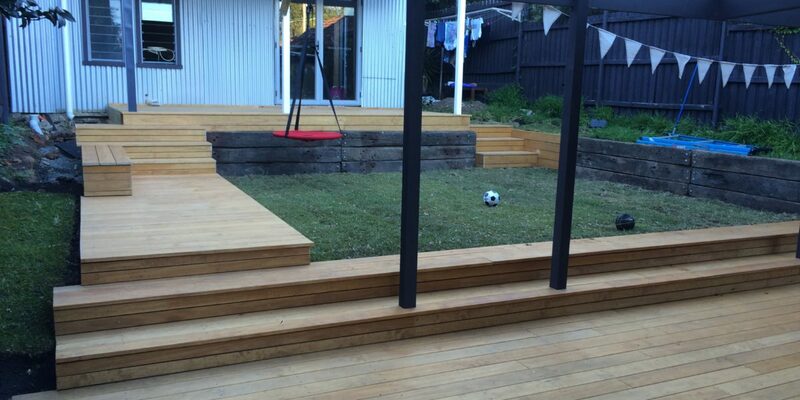 With a versatile timber deck you can transform any unused living space into the entertainment area of your dreams. Ideal for patios and pergolas, front porches and swimming pools. The timeless charm and durability of natural timber never goes out of style and when treated it can handle the toughest conditions. Define your ultimate living space with a composite or timber deck. In Sydneyyou have the freedom to define your ideal look with a range of softwood, hardwood and composite decking materials. All of these materials come in a range of colours, grades, and can be stained or oiled to match your property. The Decksmith offers a comprehensive design, supply and installation service to cover all your needs. Your first step will be to arrange a FREE site inspection and have your outdoor space assessed by a qualified tradesperson. When you choose The Decksmith you won’t have to flick through an instruction manual or spend hours laying down timber. By having your deck professionally installed, you can rest assured your timber deck in Sydney will meet the highest quality standard and provide years of lasting value, comfort and enjoyment. If you ever need help with maintaining your deck, you’re only a message or phone call away from talking to our trusted experts! Our team will be happy to offer expert maintenance tips and carry out a routine service on your behalf. Simply call 0468 486 290 or send your online enquiry to get started on your dream renovation project. The Decksmith will be happy to provide you with a FREE design consultation and quote. You can answer all your burning questions and get expert advice on the best timber decking for your Sydney home.